Doesn’t that just sound lovely? 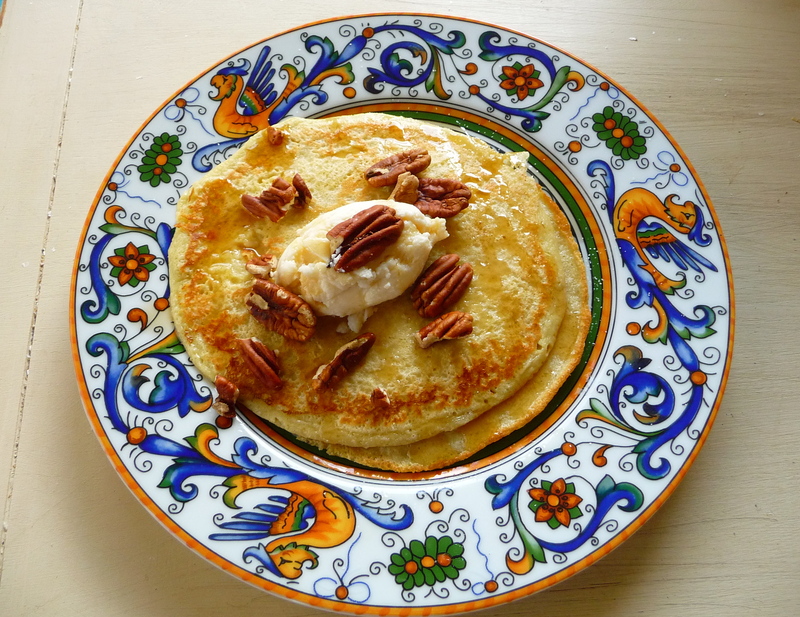 Fluffy, puffy little crepes topped with a nice little dollop of fresh ricotta, maple syrup and pecans. Yum. I want them again right now! I whipped up this airy treat over the weekend at my parent’s house. To be honest, I hadn’t planned on making crepes at all (not really a sweet breakfast person) but the crepe batter looked so lonely in the fridge, I had to use it. I call these “puffy” crepes because they rose in the pan quite a bit more than a traditional crepe. But they had a fluffy lightness that would make any pancake jealous. What I love about these is that they take like zero time to make. And the possibilities are endless. Wouldn’t you just love to try a savory herbs de provence crepe filled with a seafood mixed grill, topped with hollandaise? Or maybe an apple spice spiked crepe topped with sliced apples and cinnamon whip cream. Yes, please! Get your pans out, grab the blender and get going. Here’s some recipes that look fabulous. Let me know how they turn out!